All About Indie Filmmaking: Feature on Jane Kelly Kosek (that's me) in Lady Clever! Feature on Jane Kelly Kosek (that's me) in Lady Clever! Hi everyone! 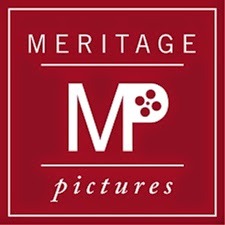 My good friend and colleague Abby Stern put together a wonderful feature on me and my work at Meritage Pictures for the Web site Lady Clever. Abby really challenged me to dig deep about my motivations behind my work. It was really fun to ponder where I've been and where I'm going. I hope you check it out! Here's a link to the article: Indie Film Producer Jane Kosek on the Silver Screen. Interesting read. It made me ponder a question: if you're interested in stories outside of the Romance-films/Romantic Comedies genres, does that mean you're open to take on the challenge of one or are you waiting for the perfect story outside the Romance genre? I recall an article or post you made regarding why you don't receive more stories outside of those genres, or why writers aren't trying their stuff on the independent route or with independent prod-companies. Well, I have a story proposal you could look at if you're interested. It's a type of romance of a different kind, not so much boy/girl as with Art.